2016 Season Outlook – Tyees Already! They say good news comes in threes, right? Alright then, in no particular order, here’s the list. 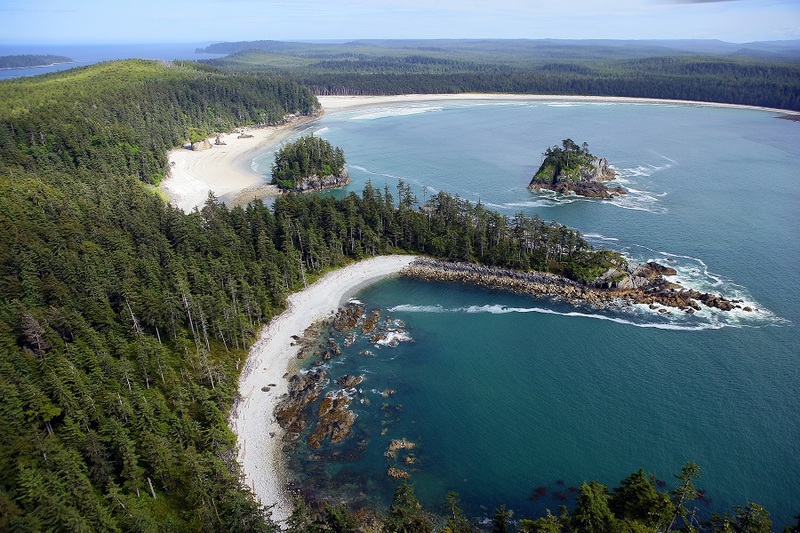 First, reports from two of the world’s most knowledgeable Pacific Salmon guides – The Clubhouse head guide Mike Tonnesen and North Island Lodge manager Todd McIntyre – indicate that the Herring spawn was strong at Haida Gwaii and elsewhere on the coast this year. Combined with a ban on targeted commercial fishing for Herring in Haida Gwaii the past several years, this should result in an abundance of feed to attract large runs of hungry migratory Salmon all season long. 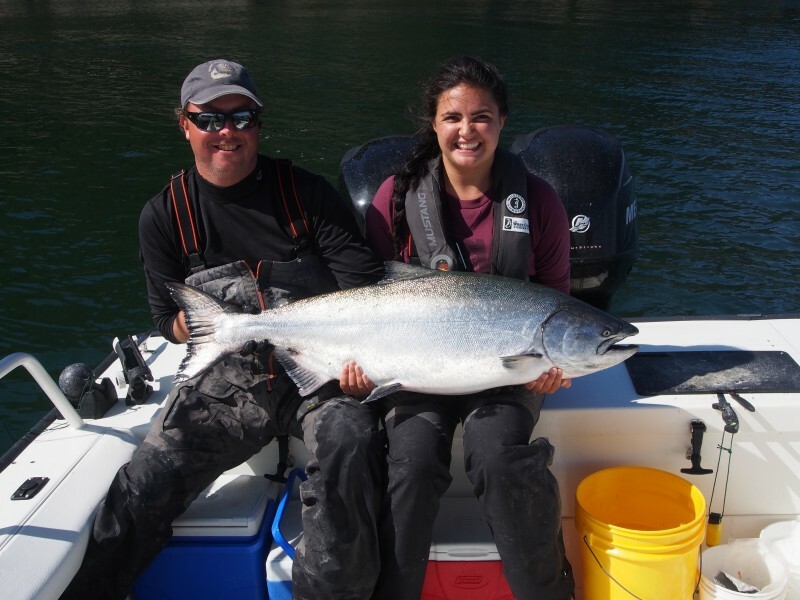 Secondly, word from Haida Gwaii has it that Chinook Salmon are already swarming the waters in pursuit of early-season bait balls near Queen Charlotte City. 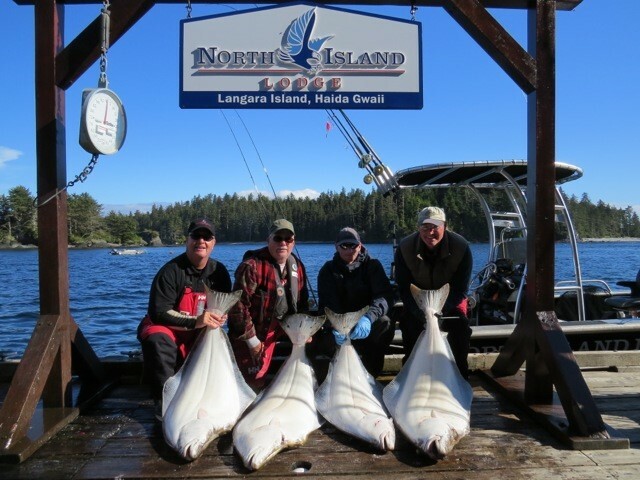 Kyle Alton, a former North Island Lodge guide who is returning to the team for the 2016 season, has been fishing the waters there for the past few days while awaiting the start of the season at Langara Island. Kyle says the fish are mostly being caught in shallow water with boats frequently experiencing double-headers on mooching rods. Although the largest fish he has seen so far was 29 pounds, he has received reliable reports of a 33 and a 40 just days ago from local resident anglers. *Who will be the first guest to release a chrome Tyee like this one from 2015? *The fishing grounds are ready! The third piece of good news came from Tonnesen – famously known as “Screamer” to thousands of appreciative guests – who says that “the guides are all stoked” about forecasts from fisheries officials on both sides of the Canada-US border of a massive fall run of Chinook Salmon destined for the Columbia River. The forecasts range from 800,000 to over 950,000 (which would be the fourth largest on record dating to 1938), with one DFO biologist reportedly describing it at a recent Sport Fishery Advisory Board meeting as “the Chinook run of the decade.” If correct, that forecast is a promising indicator of superb fishing in late August and early September as these fish congregate in the feed-enriched waters of Haida Gwaii in preparation for the journey ahead. A commercial diver in the off-season, Screamer frequently assists the DFO with Herring research each spring, and he too believes that 2016 has seen a rich spawn of the silvery fish that are the primary food source of a wide range of Pacific species. *2015 Early season double header! 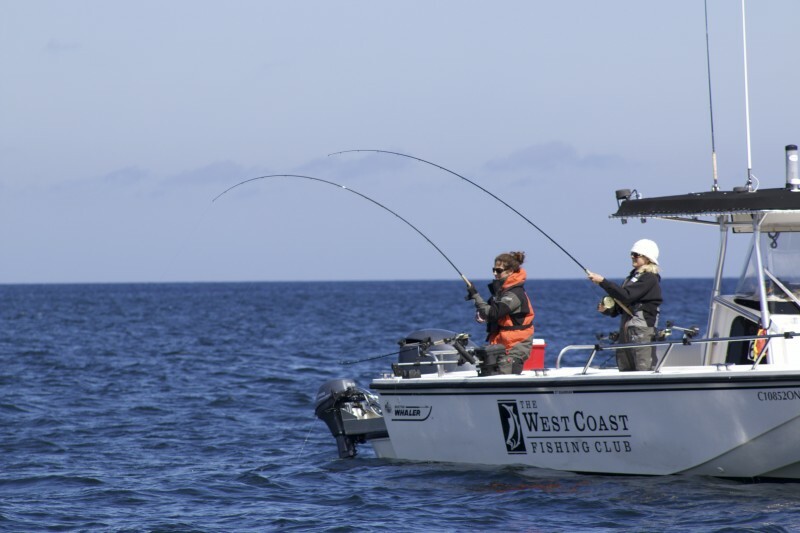 All told, the abundance of both bait fish and migratory Chinook Salmon already in evidence at Haida Gwaii, combined with forecasts of a large fall run of Columbia Chinook, point to a repeat of the consistently good fishing that guests of The Club have seen from start to finish in recent years. As a meaningful aside, Screamer is also bullish on the Halibut season, having recently taken several up to the maximum 133 centimetres (60-70 pounds) right off of his home town of Victoria, BC. He credits recent changes in DFO sport-fishing regulations that prohibit the retention of large egg-bearing females for the recovery of stocks. And after nine months of zero sport fishing activity for the coveted bottom feeders, he reckons June should be the optimal month for Halibut. The 2016 season kicks off with the Short Notice Club Derby at The Clubhouse May 29 to June 2. North Island Lodge gets started May 30 to June 3rd with the second annual Ultimate Grill Showdown, featuring the best of barbeque fare with special guest chefs Ted Reader (AKA Godfather of the Grill) and Park Heffelfinger, founder and co-owner of Memphis Blues Barbeque House. The first guests of the season at The Outpost will test the waters off Port Louis beginning June 3. Looking forward to our 7th annual “Reeling for Ronnie” charity tournament in June at the NIL…Todd and staff are the best ! Thanks Richard! We’ll be sure to pass that on to Todd and staff at North Island Lodge. See you in June! Looking forward to seeing the whole crew at the NIL in June for our 7th annual “Reeling for Ronnie” charity fishing event ! Thanks Doug! We’re thrilled to have you back again year after year. See you at The Clubhouse! Thank you for your continued support! We’re looking forward to having you back at North Island Lodge this season.